The reporter learned from Beiben Heavy and learned that in 2012 Beiben Heavy has further developed its overseas market strategy. As of now, it has built automobile assembly lines in South Africa and Ethiopia, successfully opening the local market and realizing the local production of products. . According to reports, Bei Ben Heavy will continue to expand its overseas market strategy this year. It will build corresponding auto assembly lines in countries such as Russia, Myanmar, Pakistan and Kenya, and will use its own funds or a joint venture to carry out auto assembly lines. 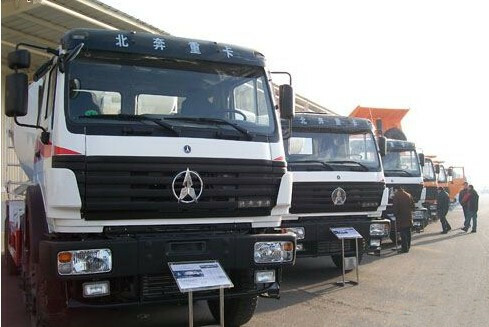 The construction marks the year-by-year increase in the export volume of Beichen heavy-duty trucks in the future. According to statistical data, last year, the export of spare parts for vehicles in Baotou jurisdiction reached 18 batches, which represented an increase of 89% compared with the same period of last year. The volume of complete vehicle parts exports reached 700, which represents an increase of 100% over the same period. %, the value of its exports reached $34.87 million, an increase of 110% compared to the same period. Of these vehicles, only three parts and 200 vehicles were exported to Essarbia. The value of exports reached 10.75 million U.S. dollars, and other exports were located in South Africa.